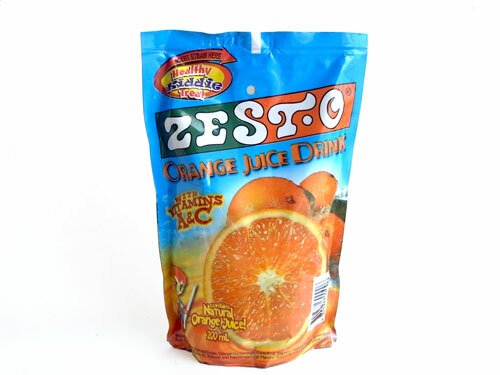 I grew up drinking my favorite school baon, Zest-O drink. It was the brand that Filipino families had trusted for years. Even when Kyle, my beloved nephew went to grade school, it had also become a staple part of his snack time. I'm sure most people can relate with me, especially if you were born during the 80's like I did. But have we ever thought about how Zest-O came about and whose idea it was in the first place? Meet the man behind the Zest-O brand we loved for years. Meet Mr. Alfredo M. Yao. Engaging himself in the Philippine workforce at the age of 17, Mr. Alfredo M. Yao has proven that his formula to success is verifiable with the experiences of his own corporation, Zest-O. Celebrating 35 years of touching lives this year, Mr. Yao mustered time to dive down memory lane – immersing himself to both the struggles and the pay-offs that compose a good fraction of his life. Catapulting himself to the business industry, Mr. Alfredo Yao built a printing press service directed to various forms of product packaging. This business venture, which was called Solemar, was named after his mother, Soledad. Mr. Yao was able to move the company forward; extending their services to local candy and biscuit companies. Later on, he successfully came to ties with multi-national brands such as Unilever, Colgate-Palmolive, Procter and Gamble and some pharmaceutical companies to name a few. The year 1979 marked a revolutionary business venture for Mr. Yao. Attending a trade exhibit in France, he saw an opportunity no one in the country had foreseen. He was introduced to the doy pack technology, which became the mechanism and the heart of his success. He purchased the machinery and was convinced that the technology would be fitting for the Filipino consumer. Although at that time, juice corporations showed low interest for his new packaging service, which prompted the turning point of his career. The consequence of this fortunate mishap produced what millions of people enjoy today – Zest-O Juice Drink. With the blows and the no’s Mr. Yao received for his technological investment, he was directed to journey to the business of juice drinks. Mon Dellosa, a UST Fine Arts Professor, assisted in branding the promising product of Mr. Yao. He presented the product design and gave an excellent, timeless brand name. Zest means lively in English and citrus peel in French, while the letter “O” was added to create a more round-sounding brand name. Mr. Yao and his team cannot say that introducing Zest-O in the market did not have its own set of challenges. Having one product to sell was a trying factor in penetrating supermarkets. The company was unknown at that time, which even added to the snobbishness of retailers. 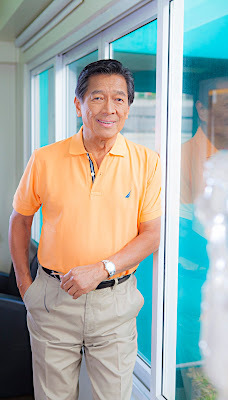 But with the leadership and philosophies of Mr. Yao, Zest-O eventually stormed the shelves of major supermarkets and sari-sari stores – making them the number 1 juice drink in the country. His unparalleled skill to push his people to work their hardest resulted to company growth and more importantly, strong work relationships within their office. His business work ethic earned him recognition in the business community, including the Ernst & Young Master Entrepreneur in 2005. To add to that, Zest-O earned the first and remains to be the only Filipino corporation that received the Most Admired ASEAN Enterprise award for the innovation category in the ASEAN Business Awards, Singapore. 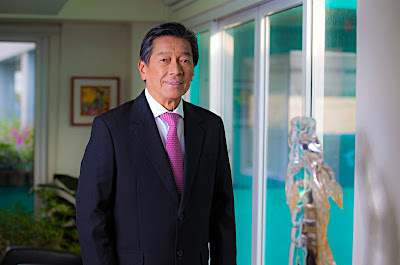 With Mr. Yao’s never fading determination to bring Zest-O to its well-deserved recognition, he was able to multiple his product line from the Zest-O brand to forty other highly competitive brands. To name a few, these include Zest-O Ready-to-Drink Juices, Choc-O Chocolate Milk Drink, Zest-O Carbonated Soft Drinks, Quick Chow Noodles, Sunglo, Big 250, Plus Juice Drink, Zest-O Iced Tea, OK, Jr, One Tea Bottled Tea Drink, Slice Bottled Juice Drink and Tita Frita. Aside from the increase in the number of products, Zest-O Corporation also expanded the number of their plants, and trucks for product circulation. 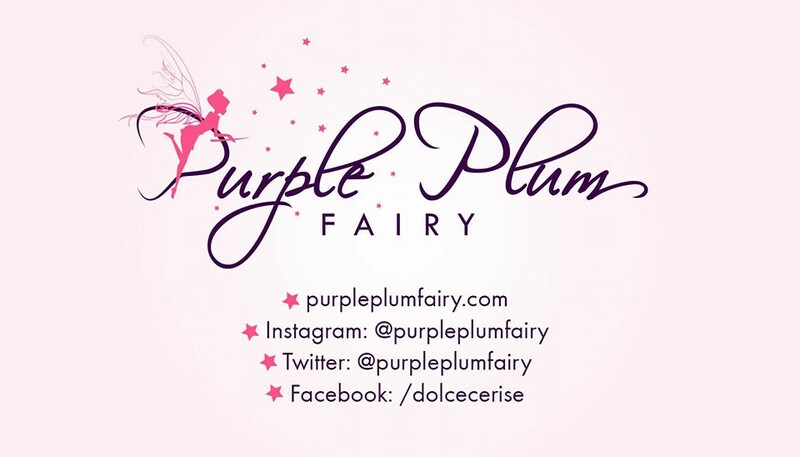 Currently, the company has 5 plants and 13 branches nationwide to ensure that their products are widely available and ready to consume by Filipinos. On top of that, Zest-O products are exported to 44 countries such as the USA, United Kingdom, Dubai, Singapore, and more. The expanded reach of the corporation even brought more fortune – acquiring plants in the United States. Mr. Yao hopes that his products will soon be produced in the US to capture an even bigger market. Jumping into business after his high school education, Mr. Yao never had the chance to experience university life as a whole. He spent 2 years in Mapua Institute of Technology but was unable to finish his degree due to financial challenges. On his 60th birthday, he decided to build the Alfredo M. Yao Foundation (AMY Foundation) to financially help underprivileged kids finish their schooling. He says that it is his way of paying back to society. For years, Zest-O Corporation has implemented outreach programs and granted hundreds of scholarships to students to secure their future. “I still dream of seeing Zest-O become an international brand like a Coke or a Pepsi. I don’t stop dreaming.” Mr. Yao confidently says that he and the rest of Zest-O Corporation will continue to improve their products, build better facilities, and update their technology in order to better serve the Filipino people.